It was during a vacation in Thailand in 1996 that I enjoyed an introduction dive. The impression was overwhelming, my passion for the underwater world was born. It didn’t take long to complete the PADI open water course. In 1996 I went on to achieve my PADI “Advanced Open Water,” “Rescue Diver” and “dive master” certification. It was in 1997 that I realised how difficult it was to express, the incredible feeling one experiences underwater. 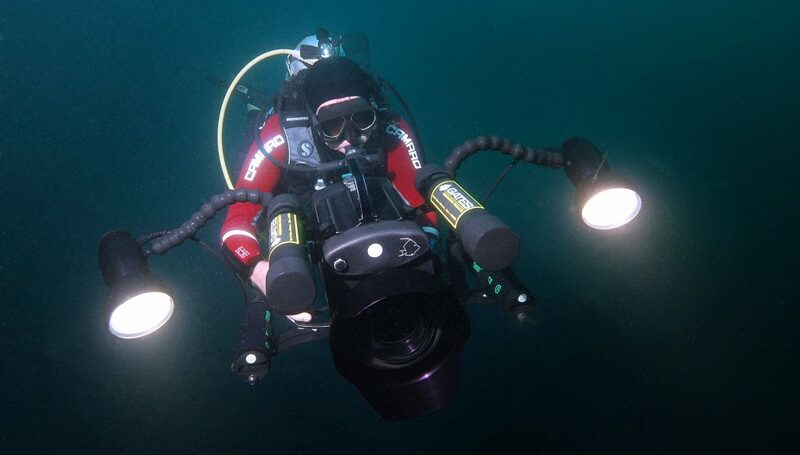 I started, equipped with the very first Sony digital video cameras (PC-7 and PC10) housed in an Ikelite housing and Ikelite lights to make my first underwater video footage. My passion for underwater filming just kept on growing and in 1998 I undertook my first trip to Bali-Indonesia for filming. This trip decided on my future as a diver when I met Wally Siagian who’s knowledge and passion got me hooked on the world of small sea creatures. In May 2000 I travelled again from Thailand to Bali and further onwards to the Society Islands, Tuamotu Archipelago and Marquesas islands in French Polynesia. It was an unforgettable journey and adventure. Fantastic underwater video footage was the result. In May 2002 I experienced one of the most fascinating months in my life ever with beautiful diving in Bunaken National Park and a wonderful place named ‘The Lembeh Strait’. Here I would return many times !! In 2003 I finally started to make an inventory of my underwater images. This leads to the discovery of the world premiere footage of the nudibranch ‘Hypselodoris zebrina’ of which photos can be found on the website of the Australian Museum of Science in Sydney, Australia. I started working on my first documentary “The most beautiful camouflages. In April 2003 for the first time I took part in an international underwater film festival in Strasbourg, France. It was the beginning of my breakthrough in the world of underwater videographers and marvellous results with wins in Czech republic & Japan pushed me further. In late 2003 I brought a first visit to the underwater world of the Red Sea. In 2004 I became a member of CMAS – FEBRAS – CMAS – PADI. The Belgian diving federation selects me to represent Belgium at the 1st CMAS underwater video world championships in Italy. At the European Festival for underwater images in Strasbourg my second documentary ‘The world of Gastropods’ went in première. 2004 became a successful year with numerous wins and podium places at international film festivals. In late 2004, a period of contradictions. December 2004: RTBF television buys the rights for a first TV broadcast of my documentary. An absolute highlight. On December 26, 2004, I witnessed the devastating tsunami during my stay in Thailand. I was very lucky to escape. 2006 became a fascinating year; I produced 10 short films for the Muzee (Sea museum) in Scheveningen. At the World Festival of Underwater Images in Antibes I’m awarded with the bronze fin. New camera equipment and the transition to High Definition Video is a fact. In 2007 I focused on the production of “The windows of life” my first docu in High Definition Video. With this film I won almost all underwater film festivals in the world I participated in. 2007 was a marvelous successful year and this success ran well into 2008. In 2008, all my attention was focused on the production of my first long documentary. At the 35st World Festival of Underwater Images in Antibes, the film went in world premiere. To my surprise I win for the first time the ‘Golden Vin ‘ in the professional category with my documentary ‘Lembeh : Weird & Wonderful’. In this documentary my world première footage of Kyonemichthys Rumengani better known as the Lembeh Pygmy Seadragon.